Which Mint Sets Make the Best Investments? 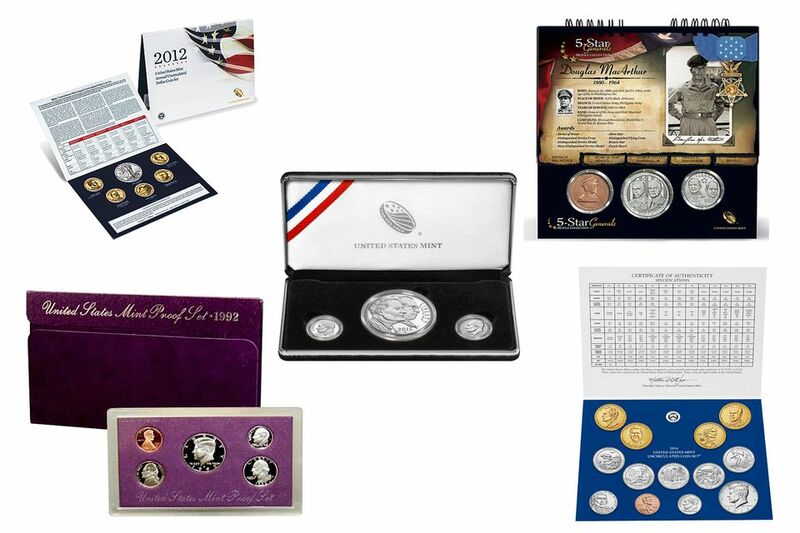 The U.S. Mint offers a bewildering variety of coin sets each year, ranging from the old stand-by's such as Proof sets and Uncirculated sets to the special commemorative coin sets and coins that have limited mintages. The astute collector/investor will know which ones typically skyrocket in value right away, and which ones are usually the duds. Although there is no foolproof way to determine the future value of a coin, some common sense and market knowledge will lead you to make wise investments that will appreciate over time. The best investments are the limited mintage sets that have a unique coin in them that you cannot obtain in any other way. For example, the Twentieth Anniversary Silver Eagle 3-Coin Set that came out in late 2006 had a Reverse Proof Silver Eagle that you could only acquire as part of the set. This set had a mintage of 250,000 maximum sets, and the Reverse Proof coin immediately doubled the set's value on the secondary market. Currently, the set sells for around $300 in PR-68. The mint issued the set for only $100. A recent example of a not-so-great mint set is the 3-coin 2008 Bald Eagle Set. This set consists of the three Bald Eagle coins (gold, silver, and clad) that can also be purchased individually, so the set is unlikely to have a strong aftermarket value. After all, collectors don't buy U.S. Mint sets for the fine packaging; collectors buy them for the coins. And in the case of the Bald Eagle, like most U.S. Mint sets, you pay a premium for the fancy packaging. The total cost to buy all three coins separately at pre-release prices was $344.85, and the 3-coin set costs $369.95. Therefore, you're paying an extra $25.10 for the nice box and a slick brochure. Currently, the set sells for around $500. However, this price changes mostly due to the increase spot price of gold and silver since the set were released. Most people agree that one of the most overlooked set values in recent U.S. Mint history is the fabulous Botanic Gardens coin set. The set contains a 1997 Satin Finish Jefferson Nickel with the P Mint mark which you could not acquire in any other way. The mintage for the Botanic Gardens set was 25,000, so this very rare, key Jefferson nickel made the Botanic Gardens set a real winner. Proof coins have greater eye appeal because of their frosted devices in mirror-like fields. These characteristics make the coins stand out and appeal to collectors and non-collectors alike. Since the United States Mint only sells these commemorative coins for one year, at the end of the year unsold sets are destroyed and the coins melted to reclaim their precious metal value. The 1996 Olympic Games in Atlanta were commemorated with over twenty different combinations of coins and finishes. Most people bought the proof coins and passed on purchasing the uncirculated coins. These uncirculated coins are now worth 3 to 4 times their proof counterparts. Does the set offer a coin that you cannot acquire in any other way? Can you buy the coins in the set separately for a lower cost? Is the entire set package, including brochures, gift box, and other trappings worth the extra cost of the set? Are the sales of a particular coin or finish lower than their counterparts?